My family and I love picnics and campfires with friends. It seems though that our Pennsylvania May weekends this year are cool, dreary and even rainy. Not that we are complaining about that as we need rain so that fruits and veggies can grow. But with the more April-like weather this month, it has been difficult to plan a time to have friends over and have an outdoor party. Last weekend we decided to have a party and then nearly canceled a few times looking at the weather report but finally said let’s just try it and see if the weather holds. We set everything up outdoors, but it was chilly and windy. After eating the main course food, we decided the warmth of the house would feel much better, so we moved the party indoors. The kids were all looking forward to the s’mores we planned for dessert and lucky for them they were still able to enjoy making them indoors and no it wasn’t using the microwave or a candle or anything like to try and melt the marshmallow. Thanks to the S’mores Maker from Sterno we were able to have an s’mores station set up right on the dining room table for everyone to use to make their own tasty s’mores. 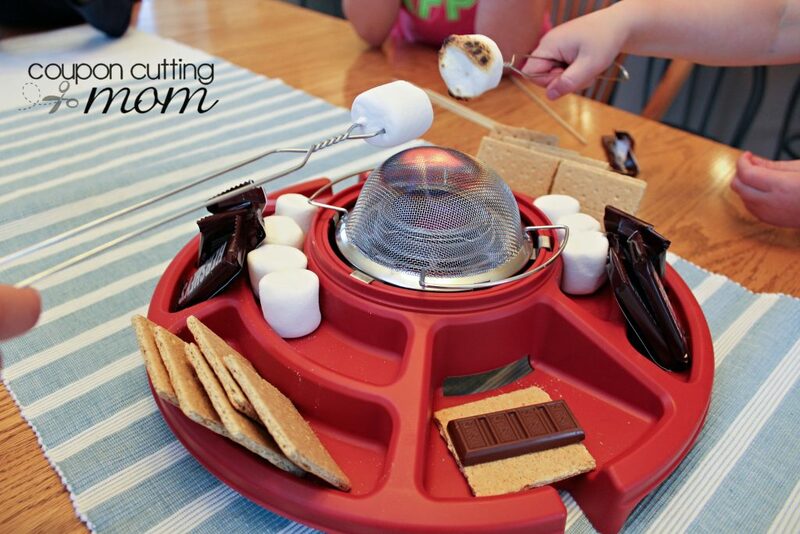 This maker is super nifty, and a must have for any s’mores lover! 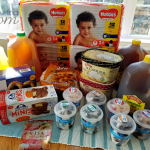 There is no campfire needed with this maker for roasting the marshmallows, so it makes it easy to enjoy s’mores year round even if it is cold or rainy outdoors. All one needs is a can of Sterno S’mores Heat for the perfect roasted marshmallow. 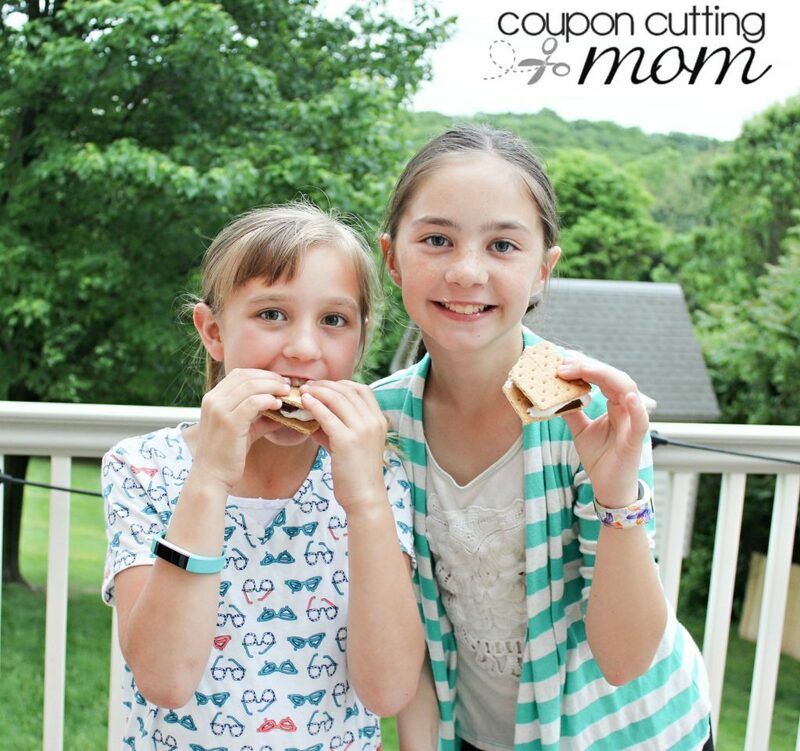 The S’mores maker says it promotes family fun and itdefinitely is living up to that slogan at our house! 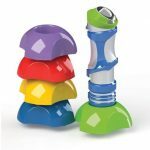 Not only is it super easy to set up but it is easy and safe for even the youngest guests and family members to use without worries of being burned by a campfire. The S’mores Maker takes the fun part of camping and makes it accessible and safe for all ages either in or out of doors. 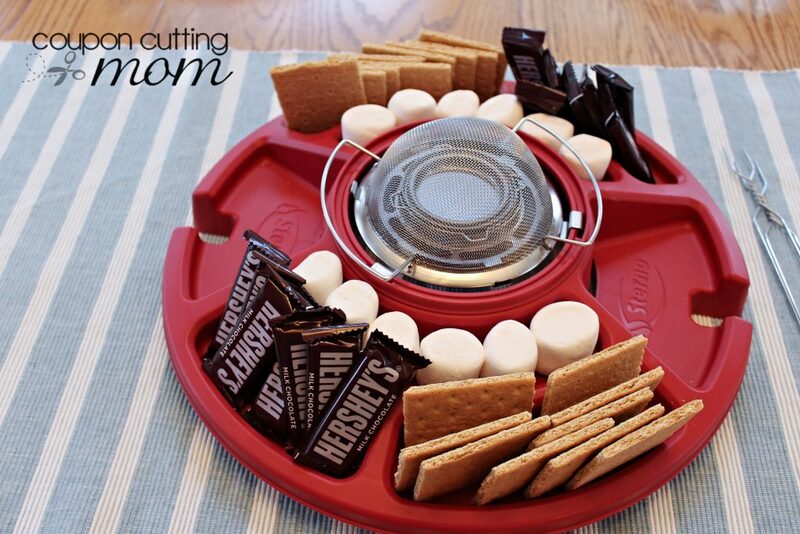 We love that the S’mores maker comes with stainless steel roasting forks and spaces built right into the serving/display tray for the crackers, marshmallows, and candy. 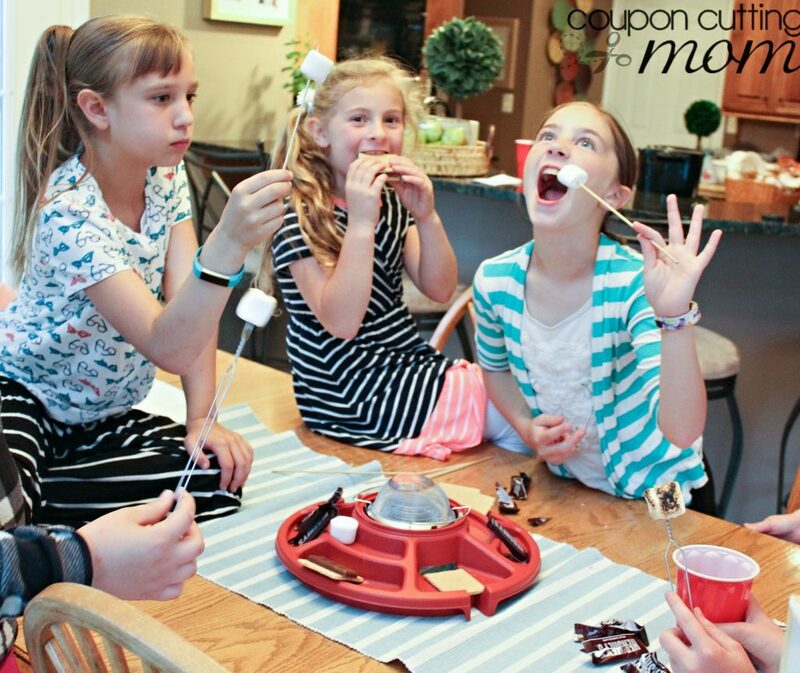 There are even two built-in s’mores making stations for easy and clean s’mores construction. The safety screen that goes over the flame from the sterno can is metal and keeps hands and fingers from being burnt while roasting the marshmallows. 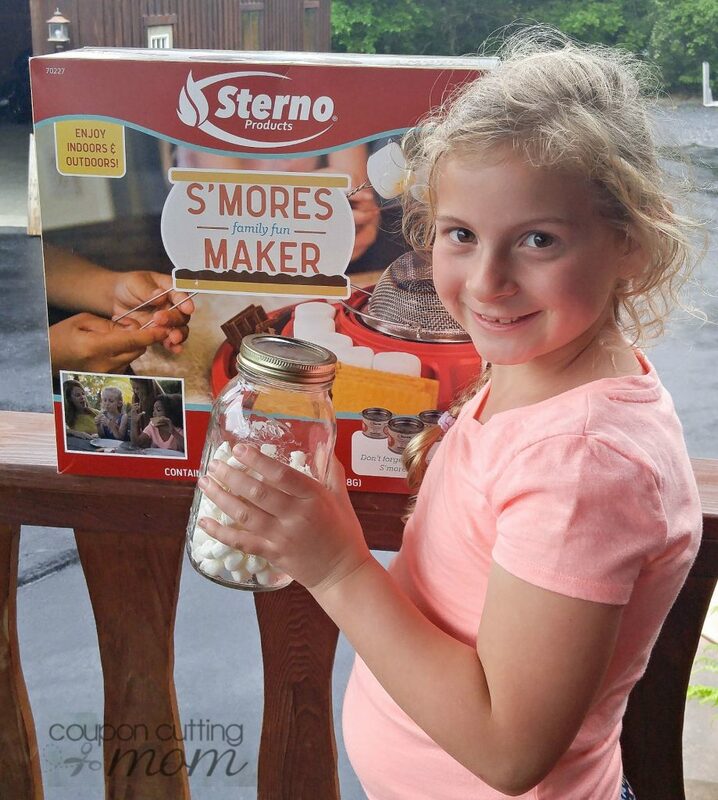 We were sent a second Sterno S’mores Maker to give away to one lucky party guest. We filled a jar with marshmallows and had all the party attendees write their guess of how many marshmallows were in the jar. The closest guess got to take the maker home. 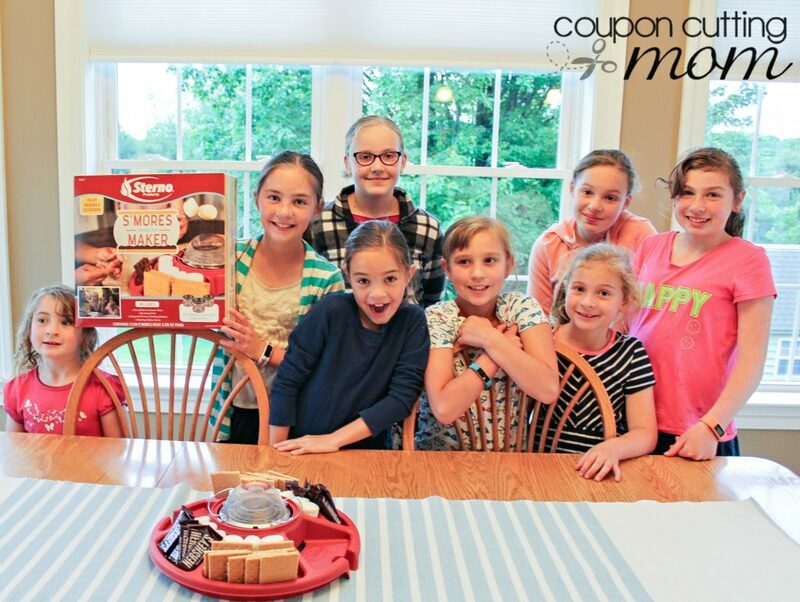 One 7-year old guest told us how she has this s’mores maker on her wishlist before attending the party and to her great delight, her guess was the closest to correct number, and she got to take this fun maker along home! Don’t let rain or dreary weather ruin any parties you have planned. 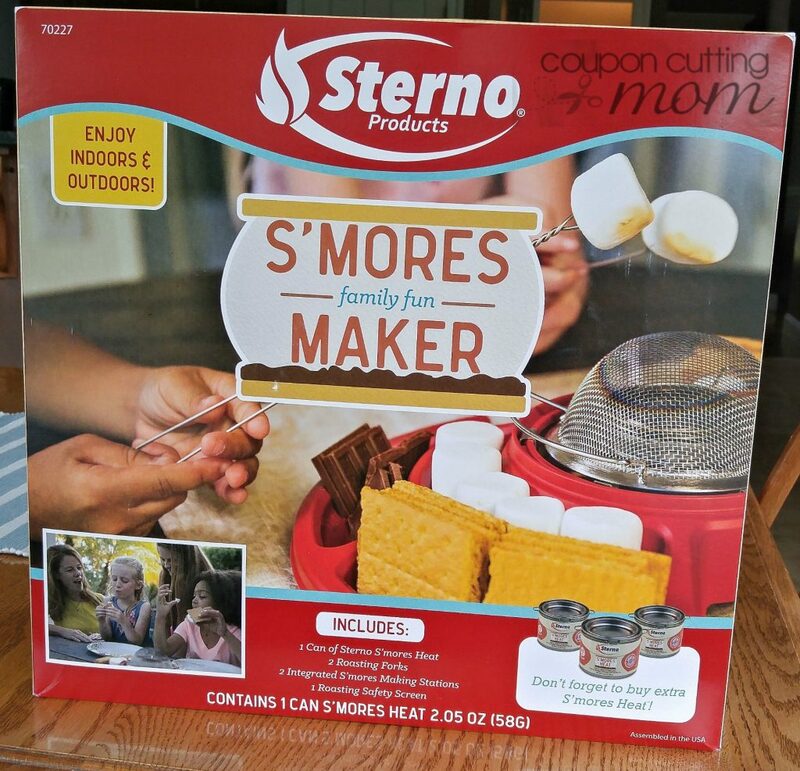 Just add the Sterno S’mores maker to your Walmart or Amazon cart and you will be ready for a S’mores party any time of the year regardless of the weather outside.